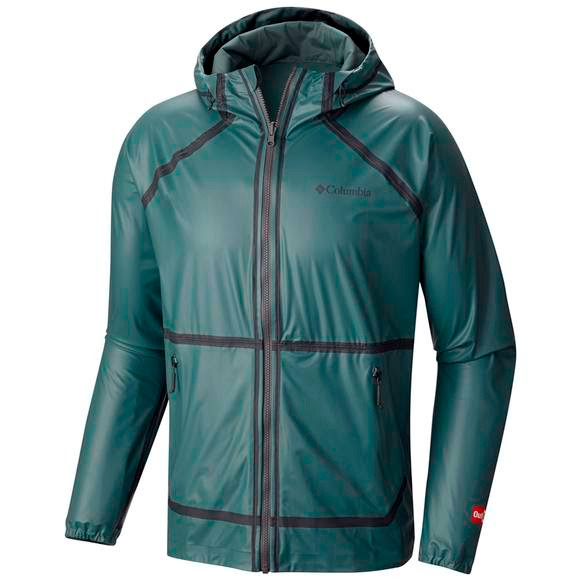 Because keeping your options open is always a good idea, this absolutely waterproof, ultra breathable men's rain jacket from Columbia is also reversible, switching from a sleek shell to a rich, super softly textured interior. The jacket's raglan sleeves also allow for great fit and mobility, and the subdued earth tones are supremely stylish. Because keeping your options open is always a good idea, this absolutely waterproof, ultra breathable men&apos;s rain jacket from Columbia is also reversible, switching from a sleek shell to a rich, super softly textured interior. The jacket&apos;s raglan sleeves also allow for great fit and mobility, and the subdued earth tones are supremely stylish.